Tourism makes up for 7.5% of Vietnam’s economy, while international visitors to Vietnam grew by 26% last year. Who are the players in the industry driving and serving this growth? In our efforts to learn more, we meet with Elegance Hospitality Group Founder and Chairman Do Van Dan to dive into the facts about one of the world’s fastest growing travel destinations. 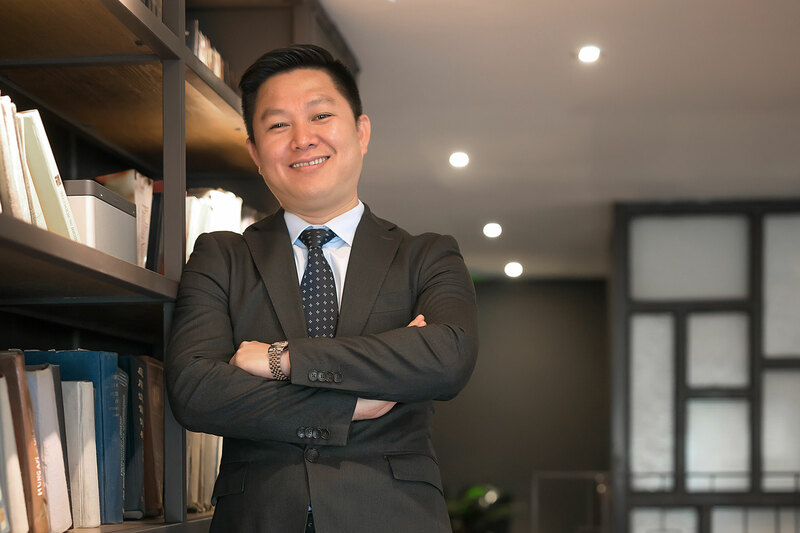 He shares a bit of his journey into hospitality, what his vision is for Vietnam travel, and what he thinks some of the most exciting hotels are in Vietnam and the world. How did you find your way into the hospitality business? I guess you could say that my journey is a classic ‘rags to riches’ tale. I was born into a poor farming family just outside Hanoi. Although my father worked very hard to support my mother and my brothers, there was little of spare money left to fund our studies. As such, I had to work long hours in order to make a bit of money for myself. I landed a variety of jobs in hotels but never planned to stay in this industry. However, once I started I developed a taste for the hospitality business. I discovered I had a flair for customer service and an understanding of what Hanoi’s hotel industry needed, but lacked at the time. To cut a long short I learned the hard way, but my determination to succeed spurred me on and the rest is history as they say. I am delighted and very proud that we are now one of the most successful hotel chains in Vietnam, with seven boutique hotels in Hanoi and one luxury resort in Hoi An. What keeps you in the hospitality business? I think customer satisfaction and the amazing comments we receive from our guests are the key things that make my day. I am very happy to have an opportunity to serve EHG’s guests with a passion that comes from the heart. What are some features of the Vietnam travel brand that make it distinctive from other Asian countries? In other words, why do people choose to travel to Vietnam over other Asian countries? People choose to visit Vietnam firstly because the country really is a hidden gem with breathtaking landscapes, still many untapped places to explore. We have many UNESCO World Heritage Sites such as Halong Bay and Hoi An, unique features like the caves in Phong Nha Ke Bang National Park, as well as rituals and traditions recognized as Intangible Cultural Heritage of Humanity by UNESCO. Secondly, Vietnam has a precious treasure: its people. Wherever you go, the locals will welcome you with big smiles and a generous hospitality. Thirdly, traveling in Vietnam is still much cheaper than traveling in other Asian countries and Vietnam, although developing, still gives the off-the-beaten-path experience that travelers crave. Fourthly, Vietnamese cuisine goes beyond pho and spring rolls. There are mouth-watering regional variations of dishes, which keeps our cuisine intriguing, fresh and exciting. Our food is both healthy and robust in flavor, thanks to the combination of fresh herbs and vegetables, paired with rice, noodles, seafood, pork and beef. What are your core responsibilities as CEO of Elegance Hotel Group? In the early days, when we were a fledgling hotel group and starting out on our journey, myself and my small team rolled up our sleeves and got involved in everything. I knew to make the business work the foundations had to be laid correctly right from the start. I needed to have experience in every department and oversee all aspects of the operation. However, as we started opening more properties, I knew I could not multi-task to the same extent. At first, it was difficult to let go and I needed to be very careful not to micromanage. Now, in my role as Group Chairman, I am the chief strategist and face of the business: the ideas man and the person overseeing the Elegance Hospitality Group brand. What is the future of the Vietnam travel brand? What can brand owners in Vietnam do to help boost the brand and image? I think that future of the Vietnam travel brand relies on improving the customer service experience with consistent quality and recognizable standards. Brand owners in Vietnam should maintain and improve the customer experience, which in turn helps boost the brand and image. They will need to adapt strongly and quickly to a new way of doing business. This will be a sharp learning curve but necessary in order to compete with the regional and global competitors entering the market. Vietnam travel brands will have to be more aggressive and give up their usual ‘wait and see’ approach. If not, they will be exposed to higher business risks and failures. It is therefore increasingly important for Vietnam’s travel agencies, whatever their size, to recognize, and invest in, their brands as strategic assets in order to drive greater competitiveness in the region. The key challenge to the marketing and brand professionals in Vietnam, therefore, is to effectively demonstrate that they have a robust approach to measuring the quality of their brand assets and for quantifying the contribution of the brand asset to shareholder value. Can Vietnam create its own globally recognized hotel brand? I am very confident to say that I believe we can. EHG is one of the examples that I can refer to you. Can you share with us some initiatives that Elegance is developing to set it apart from the rest of the Hanoi hotel market? I believe that every successful business must have a fundamental core philosophy and solid foundations right from the start. For EHG, our goal is to attain perfection in customer service. When we first opened our mini hotel 18 years ago, consistency and good quality in Hanoi’s hotel industry were not serious priorities for the majority of hoteliers. I believe we created something new right from the start. We focused on good honest service, meeting guest expectations as well as caring about design and facilities. Now we are viewed as the trendsetter, a recognition we love. Many other hotels have since jumped on the bandwagon as everyone follows our lead. We always aim to stay ahead of the game. It keeps us innovative and fresh, always thinking of new ideas and how to adapt. We know that we have to keep up with the international competition and listen to what our guests want. What’s missing in the Hanoi hotel market? Hanoi’s hotel market continues to see strong growth rates. The indexes of both the hotel room rate and hotel room revenue in Vietnam has consistently been increasing. The occupancy rate in Hanoi is 75%, rivaling Bangkok’s number 1 position. Therefore, statistics lead one to believe that the market is facing the onslaught of many international hotel brands. However, there is a lack of strategic planning for, and control of, hotel development by the Vietnamese government, and no accurate figures to use as a benchmark for the hospitality industry. Many hotel projects have materialized based purely on assumptions about demand for rooms rather than on the facts and forward planning. In addition, poor inconsistent infrastructure has slowed the growth of tourism. These issues are also compounded by instances of staff who lack knowledge and the professionalism to carry out their roles. Why are there so many hotels developing in Vietnam? Is there supply glut soon? Vietnam has a high market potential to make tourism become a major industry. Factors shaping the Vietnamese tourism industry are: the environment, politics, government involvement and the fact Vietnam is a very safe country to visit. These factors and many others are closely linked and crucial to the successful development of tourism in the country. Vietnam is blessed with many natural resources that are major tourist attractions. Hanoi and Ho Chi Min City are the most popular cities for visitors. People delight in the elegant French colonial architecture, tree lined avenues, strong cultural heritage as well as modern amenities ensuring they feel at home. Vietnam’s 3,000 km coastline features numerous untouched scenic spots and beach resorts, which have become popular tourist attractions. 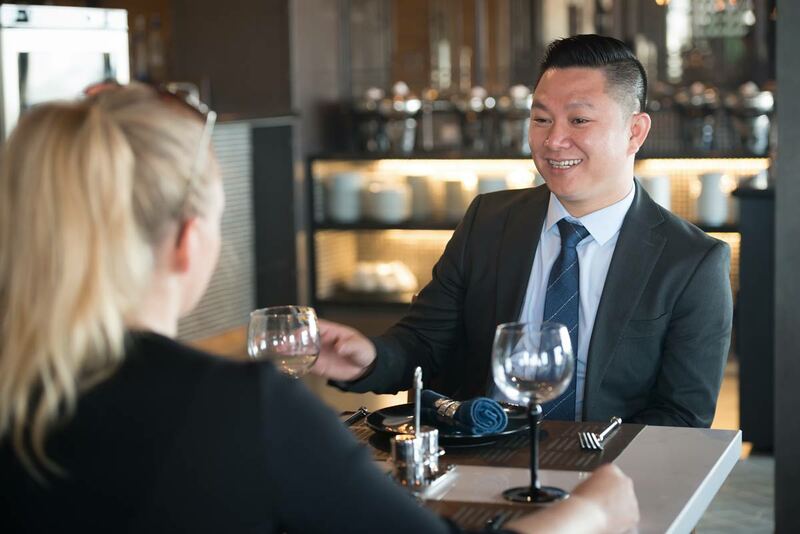 The high growth rate in the tourism sector and strong investment in Vietnam has created a new momentum for the hotel service sector. As tourism increases so does the hotel sector which is expanding at a fast rate. This will result in a glut of hotels and fierce competition; however, I believe that EHG will continue to stand out from the crowd. What are some of your favorite hotels in the world? In Vietnam? Firstly, I travel a fair amount. When I am staying in other hotels I look for the same qualities and standards that EHG has regardless if it’s a 3 or 5 star. Sometimes I stay in small individual boutique hotels, other times the bigger chains. Internationally, I am very impressed with the Centro chain (part of the Rotana group, popular in the UAE). They are value for money properties priced very reasonably but with high standards and great slick design. This is a brand successfully branching out to other markets. Of course, the major brands such as the Intercontinental, Sheraton, Ritz etc. are consistently fantastic with long histories and traditions. In Vietnam, it comes back to what I have hinted at earlier in this interview. There is a lot of inconsistency but equally the good properties stand-out such as Anantara and Sixth Senses. But, equally there are many individual hotels not five stars in facilities but which give a five- star experience. For me, this is what makes some of my favorite hotels. It is the hotels that know how to treat me in the way I want to be treated and give me superb customer service. 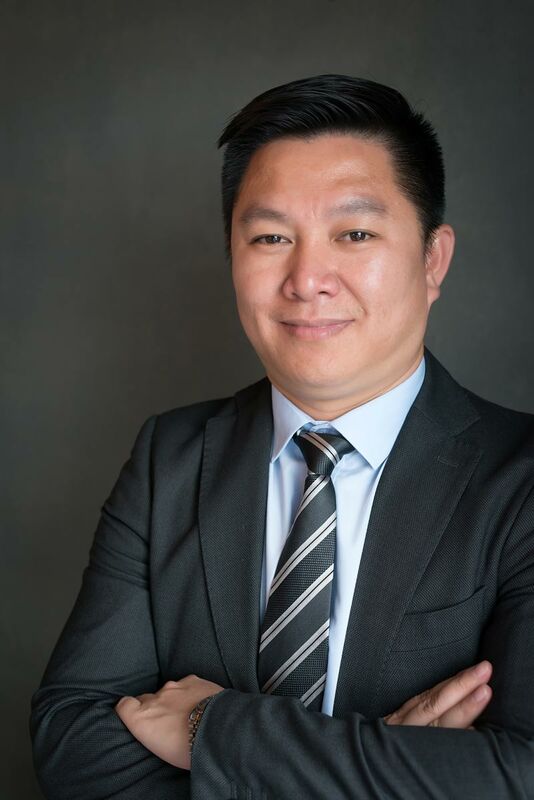 Mr. Duong Doan Nam, our DOSM, who has been working for EHG for more than 10 years and has made a great contribution to the development of EHG so far.